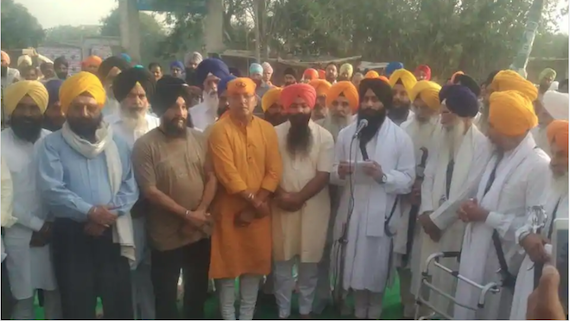 Kotkapura: Amidst tight security arrangements and police restrictions, members of the Darbar-E-Khalsa organizations and representatives of other Sikh bodies and Aam Aadmi Party gathered at Kotkapura to commemorate 2015 police firing incident. 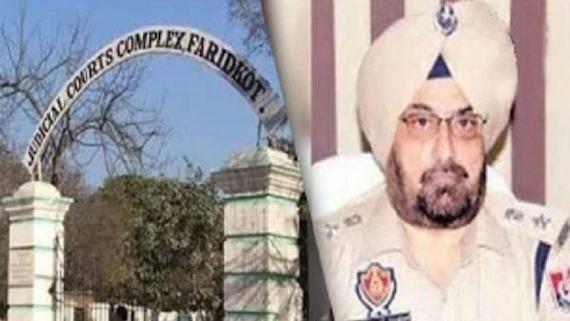 It may be recalled here that three years ago on this day the police had opened fire on Sikh pracharaks and the Sikh sangat who were staging a peaceful sit-in demanding arrest of culprits who had committed beadbi of Guru Granth Sahib at Bargari village. Today’s gathering was called by the Darbar-E-Khalsa, a newly formed group of Sikh pracharaks. The gathering was attended by former Jathedar and Panthic Talmel Sangathan’s chief Giani Kewal Singh, former Jathedar Giani Balwant Singh Nanadgarh, former Panj Pyare of Akal Takht Shaib Bhai Satnam Singh Khandewala and Bhai Major Singh, Sikh historian Dr. Gurdarshan Singh Dhillon, S. Sukhpreet Singh Udoke, Harpreet Singh Makhu, Aam Aadmi Party leaders Aman Arora, AAP MLA Kultar Singh Sandhwan (Kotkapura) and members of Aam Aadmi Party’s rebel group Pirmal Singh Dhaula (Bhadaur MLA), Baldev Singh (Jaitu MLA) and Jagdev Singh Kamalu (Maur MLA). The Sikh sangat gathered at Battian Wala Chowk in Kotkapura and recited Gurbani. 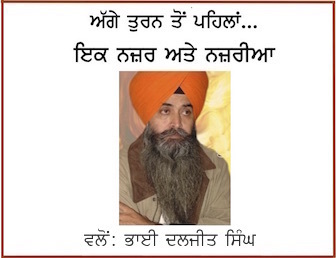 After performing Ardas, Sikh Parcharak Harjinder Singh Majhi read out an open letter written by Darbar-e-Khalsa to former Punjab CM and SAD (Badal) patron Parkash Singh Badal. In this letter Darbar-E-Khalsa has listed various ill-deeds of Parkash Singh Badal to ashame him.